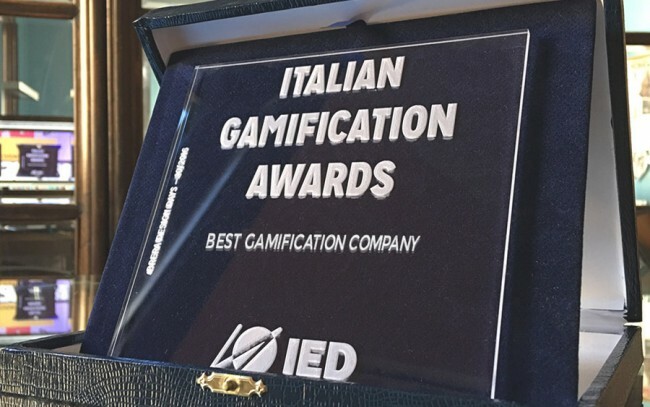 We are proud to announce that Alittleb.it has been chosen as “The Best Gamification Company” at the first Italian Gamification Awards, for the projects number, quality and importance of involved brands. Italian Gamification Awards has been organized by IED – Istituto Europeo di Design during the Brera Design Days. Alittleb.it has created Worldwide Twitter Trending Topics with ArtistSaga!! 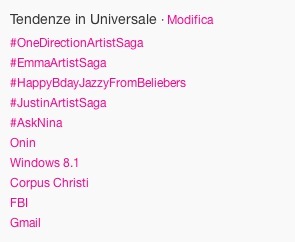 #OneDirectionArtistSaga and #JustinArtistSaga have been the First Worldwide Twitter Trending Topics; #EmmaArtistSaga the Second. 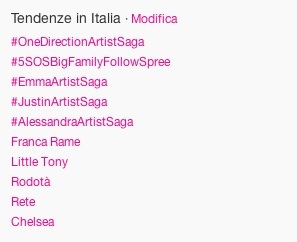 Moreover, ArtistSaga created the first, the third, the fourth and the fifth Italian Trending Topics too. 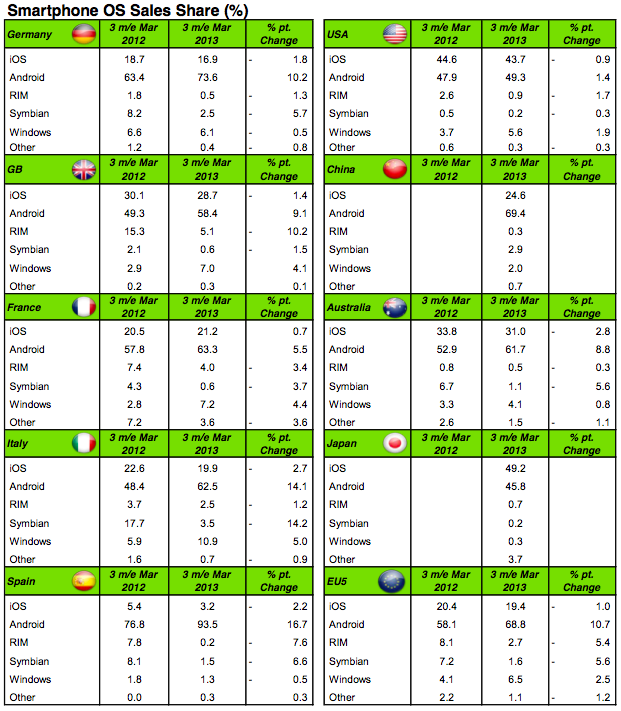 Relying on 240.000 annual interview, Kantar Worldpanel Comtech, a leader society for market research and consumer panels, has released a paper that confirm the dominance of Android in every market that Kantar is analyzing (the unique exception is Japan), recording also the reduction for devices that mount IOS and a progressive increase for Windows Phone. Just looking the previous image: is simple to find the Android’s dominance (the green colored slice of the cakes) in every market. 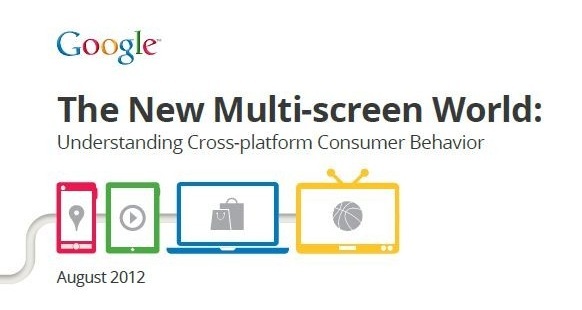 The survey takes place on 9 several markets analyzed by Kantar: Australia, China, France, Germany, Italy, Spain, UK and USA, and, according to data, the 64% of mobile devices mount Android’s OS. 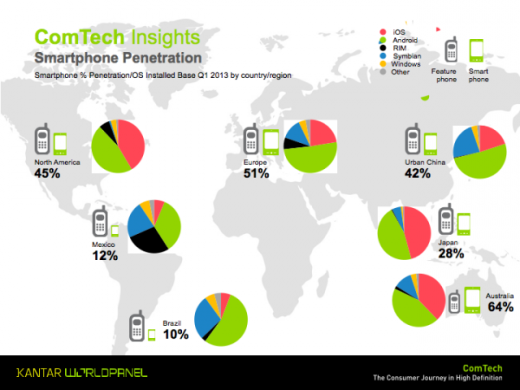 “This will pile pressure on Apple, BlackBerry and Nokia to keep their products front of consumers’ minds in the midst of a Samsung and HTC marketing blitz.” writes Dominic Sunnebo, global consumer insight director at Kantar Worldpanel ComTech. In fact, the only other platform that gain something is Windows Phone, that increase its sales by 5%. Developers have to take care about this market’s trend, making applications that can be used by costumers. The integration of tablet devices into our lives and, especially, into our work has progressed rapidly — so fast that it’s hard to figure it out. Venturebeat.com, in collaboration with Lenovo and Qualcomm, provided an infographic (see it below) to describe how much the tablet devices market grew in terms of number of adopters both consumers and business so far. The Italian market, in particular, has been fostered by the strong growth. According to the Polytechnic of Milan (research results have been exposed during the conference ‘Mobile Business: Innovazione a Tavoletta’), nearly 3 of 4 Italian CEOs have already introduced or are introducing new tablet devices in their enterprises: the 47% of them is already adopting tablet devices, and 27% are going to adopt this technology in the near future. Executives use tablet devices already (55%) and a few of them is going to adopt them in the future (38%), A portion of the sales staff is already using them (17%) but most of it will receive tablets (74%) in the near future. Together with the new tablet market, growth involves also application mobile downloads. Social gaming, both expanding and diversifying the gamer population, has been maturing at rapid pace resulting in heavy consolidation, while at the same time leaving room for innovation. 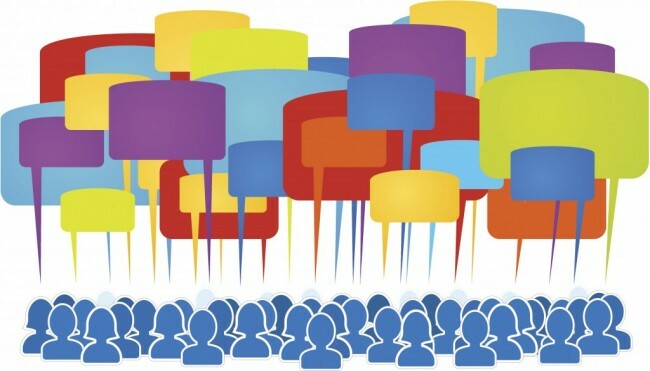 Drawing in part on 2010’s social gaming summit, consultancy activities in the social gaming sector and academic interests, in this article I look at three broad social gaming trends for 2011. When properly executed, advergames are an extremely effective marketing tool. Disney acquired social game developer Playdom in July 2010 with the likely rationale of brand proliferation of Disney’s intellectual property rights through Playdom’s games and reach. McDonalds was one of the first and most visible to actually engage in social advergaming by taking over Farmville for a day in the form of a gigantic in game dynamic advertisement. Whereas Frima has attempted to iterate on the success of Farmville in favor of Mazda by developing Mazda’s DriverVille. 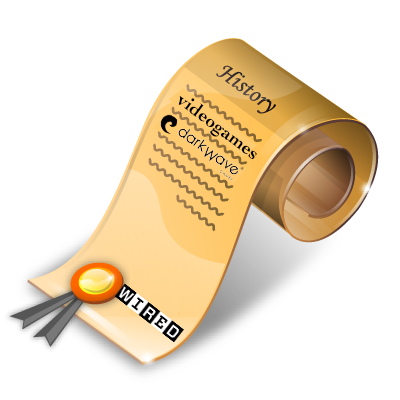 Read More: Gamasutra: Joost Rietveld’s Blog – Three social gaming trends for 2011.